Mainly through The World Games, the game became popular in the Asian region and all around the world. 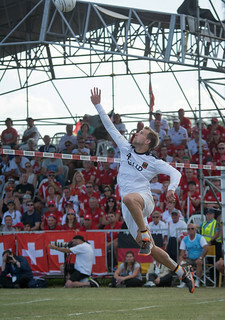 Yes, there is “striking” similarity between volleyball and fistball: the object of both games is to place the ball in the opponents’ half of the field in such a way that it cannot get returned. 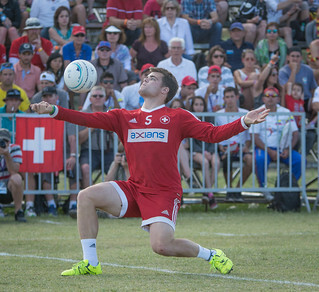 The crucial difference in fistball: the ball is struck with either fist or arm – never with open hands – and it is allowed to bounce after each contact. The game was first mentioned in 240 A.D. by the Roman emperor Gordianus. 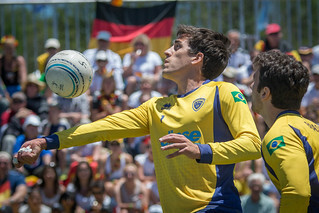 In 1786 it was Johann Wolfgang Goethe who wrote about fistball being played between “four noblemen from Verona and four Venetians.” Today’s game has five players per side jettisoning the ball over the ribbon – at speeds much beyond the 100 km/h – and making spectacular dives to avoid that it bounces more than three times in their half.